There are 16 posts filed in Economics (this is page 2 of 2). Obviously, @ModeledBehavior was being sarcastic here, but the Connecticut legislators are totally serious. Their plan is to mandate that hourly employees in the services sector will be given one hour of sick time for every 40 hours they work. There’s a lot of good stuff here that illustrates how little politicians understand about economics. @ModeledBehavior Total wages paid won’t change. It’s a mandate for service sector employers to withold 2.5% of pay in sick-pay savings acct. What’s tricky about this sort of thing is that it sounds so nice. But it takes a lot of effort to really understand what this legislation would do, and what it means. This sounds really nice because hourly employees typically just have to call in sick and miss a paid work day when they’re not feeling well. Too many missed days and the employee’s job could be in danger. This way, they’ll still get paid for that day when they’re sick. But not really. As I replied to @ModeledBehavior, one of two things would happen: either the employers would lower the hourly wages they pay or, for minimum wage employees, they’d simply hire fewer employees. I’ll break down each case below. The employer will reduce Tommy’s hourly wage so that he’s now paying Tommy $400 for 41 hours instead of 40. OR If Tommy is already at the minimum wage, the employer will raise Tommy’s total wage to $410, which means the employer now has fewer dollars to spend on “salary” and will be able to hire fewer employees. This is the most likely, but it assumes Tommy is making more than minimum wage. We’ve already said the employer values Tommy’s 40 hours of productive work at $400. So, when Tommy bags groceries for 40 hours, that’s worth $400 to the employer’s store. If Tommy is out sick, he’s not bagging groceries and therefore isn’t adding value to the store. So, Tommy’s value doesn’t change – it’s still $400. Only now the employer has to pay Tommy for 41 hours of work. What to do? Reduce his hourly rate so that the total cost is still $400. If Tommy was getting paid $400 for 40 hours of work, the employer will simply continue paying Tommy $400, only now it’s for 41 hours (40 hours of productive work and one hour for the sick bank). Tommy’s hourly wage will drop from $10 to $9.75. Will the employer actually reduce Tommy’s pay by $.25 an hour? Maybe. But it’s more likely that the employer would just reduce Tommy’s hours and hire another employee at $9.75 an hour. Eventually, he’d just cut Tommy and move the new guy up to 40 hours. But what if the employee were already making the minimum wage? Let’s call him Ralph and say he’s also making $10 an hour to make things easy? (In Ralph’s universe, $10 an hour is minimum wage whereas in Tommy’s universe, $10 an hour was well above minimum wage.) The employer can’t reduce Ralph’s hourly rate because it’s already at the minimum, and he can’t hire a new guy to do the work at a lower hourly rate. What to do? 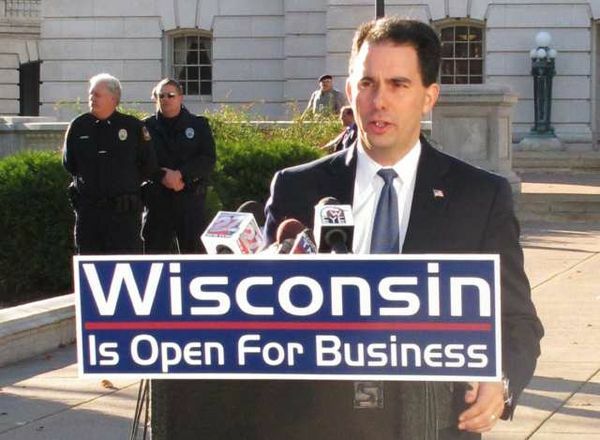 The only thing to do is hire fewer people. Let’s say this particular store had 100 Ralphs. Each Ralph is being paid $10 an hour, so each Ralph is worth $2400 for 40 hours of productive work. Together, all 100 Ralphs are worth $40,000 for 40 hours of productive work, so that’s what the employer pays all the Ralphs to do their work. The new legislation dictates that each Ralph now has to get paid $410 for 40 hours of productive work (minimum wage of $10 an hour at a total of 41 hours). But we know the employer has only budgeted $40,000 for Ralphs, so he’ll be able to employ fewer Ralphs. So, the number of Ralphs employed dropped from 100 Ralphs to 97.5 Ralphs, which is a 2.5% decrease. Each Ralph will now be banking one hour of sick time for every 40 hours he works, but there will be 2.5 unemployed Ralphs. But what about these other options? 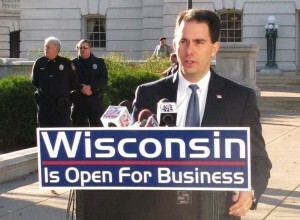 My point is that this legislation is a bad idea and it will ultimately hurt those who it is ostensibly trying to help. The original article talks about how other legislatures are considering similar legislation, and they’re looking to Connecticut to see how it works. This could negatively affect workers’ wages and even increase unemployment at a time when the labor force is already hurting. I’ve been talking to some small business owners about this and I’m getting a better idea of how this sort of legislation impacts business owners in the real world (it’s not much different than what I’ve described here). I may follow up on this post if I get enough new information and insight in my research. A while back, I wrote about the price differences between Redbox, Amazon and iTunes for renting movies. My friend Andy emailed me to point out that I had missed a pretty big component of Redbox’s pricing scheme: Late fees. This was a pretty big oversight since it’s obvious that there will always be some people who keep a movie for multiple days. So I’m going to revisit this to make a better comparison. Amazon and iTunes both rent for a fixed price, and then the movie simply becomes unviewable 24 hours after the movie has been started. Redbox charges $1 for a DVD for the first day, but they also charge an additional dollar for each day after that. If you keep the DVD for 25 days or more, then you own it for $25. 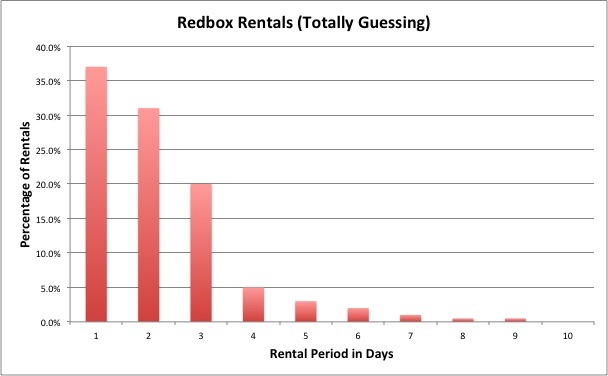 Redbox’s 10-Q for Q1 2011 says the Net revenue per rental was $2.20**. So the average renter keeps the DVD for 2.2 days and pays $2.34 (which is $2.20 plus tax in Gainesville).This is for all kiosk rentals, so it’s not just DVDs. But the point is that I’m guessing almost everyone will return the DVD in the first three days, but a few will hold onto it for several days. These numbers make it more plausible that the difference in prices is mostly due to a “convenience premium”. Is it worth $1.65 to go to a Redbox kiosk instead of just streaming the movie to a TiVo or PC? For me it was, but for many it won’t be. Also, when I went to return “Waiting for Superman”, the kiosk was broken, which meant I had to go find another one. If I had known I’d have to make three trips to Redbox kiosks to save a couple bucks, I probably would’ve just rented the movie from Amazon. iTunes is probably more expensive still because of the Apple brand and the additional convenience that an iTunes movie can be watched on Apple TV, a computer or synced to an iOS device (iPad, iPhone, iPod) and taken mobile. * In case it’s not clear: I totally made this up based on the reported $2.20 “Net revenue per rental”. I’m assuming that people will either return the DVD in the first nine days, or they’ll keep it the full 25 days and end up buying it. I stopped the graph at 10 days to make it easy to read, and I assumed that one in 1,000 rentals would end up being bought after 25 days. Also, I’m being lazy here and not trying to tease out the actual DVD numbers since I’m using the $2.20 they reported, which includes Blu-ray and stuff. ** I’m a little confused by their terminology here. What I really want is the gross revenue per rental, but I can’t figure out what that is. I looked at the Notes to Consolidated Financial Statements, but I still can’t tell exactly what the “Net revenue per rental” number is. 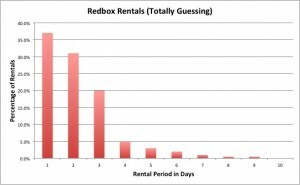 For Q1 2011, if I just take “Revenue” for the Redbox segment and divide by the “Total rentals”, I get $2.20. But this doesn’t work for Q1 2010 (I get $2.19, but they reported $2.16), so I don’t know exactly where that “Net revenue” number comes from. It seems like the gross number just isn’t being reported. The Redbox Wikipedia page claims (via the New York Times) $2 per transaction as of September 2009, so that makes me think the gross number is $2.20 and also makes me wonder why Coinstar is reporting it as a “Net” number. It’s also possible everyone else is misinterpretting the “Net” number as the gross per-rental number, so the gross per-rental number might be higher. Why is Redbox so much cheaper than Amazon and iTunes? Last night, I rented “Waiting for ‘Superman’” from a Redbox kiosk near my house. This was my first Redbox experience. I would normally just wait for it on Netflix Streaming, but I wanted to see the movie right now since it’s relevant to stuff I’ve been writing and discussing a lot lately. A friend had mentioned Redbox, and I had to go to the store anyway, so I checked to see if Amazon or iTunes could compete with the $1 Redbox price. What’s interesting is that it would seem that renting physical media would be more difficult and expensive than renting digital media. Someone has to service the kiosks, the physical media can be lost, stolen or damaged, etc. The rental terms are very similar – a 24-hour rental is standard. So why is it so much more expensive to rent from Amazon and iTunes than Redbox? A convenience premium. I chose Redbox because I decided it was worth the relative inconvenience of using a kiosk to save $3.93 over Amazon. My decision was easier because I was already going to the grocery store and the Redbox kiosk was directly on my way home from the store (I knew this thanks to the Redbox iPhone app – good job Redbox). Had I not already been going out, I may have chosen to pay the Amazon premium instead. Price skimming. Online video streaming is becoming mainstream, but it isn’t yet ubiquitous. I would guess that the demographic who is most likely to rent a movie from Amazon or iTunes (the pseudo-early adopters) has more disposable income and may be more willing to part with the extra couple bucks. To wit, the technology required to stream instant video (at minimum a PC with a broadband connection, or an Xbox 360, PS3, Wii, TiVo, iOS device, Android device, etc.) is much more expensive than a standard DVD player. Non-obvious operating costs for online content providers. Although I cited kiosk maintenance and the risk of lost, stolen or damaged media as potential cost drivers for Redbox, Amazon and iTunes may have different operating costs to worry about. They have servers to host the content, digital media licensing fees, the cost of upstream bandwidth necessary to stream video, etc. Those costs could actually be greater than the costs that Redbox faces for maintaining its kiosks. 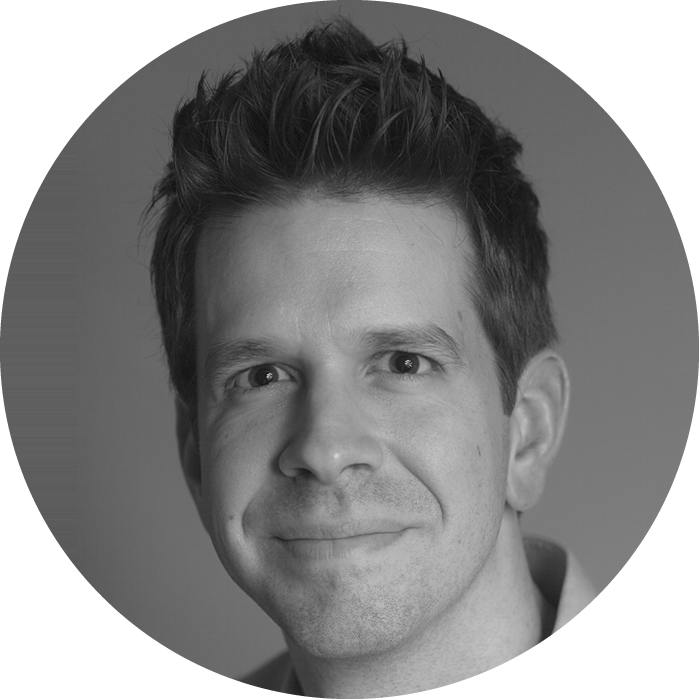 What else could be behind the steep premium for renting movies online? Well, apparently the economic stimulus bug has hit Japan! They’ll need to create hundreds of jobs to replace all that infrastructure! What we call a disaster in Japan, Keynes would call phase one of a stimulus program. I didn’t publish it because I was afraid it would be misread, and people would think I was making light of the devastation in Japan. I was really making light of the tunnel vision that many have regarding government’s ability to directly improve the economy through spending. Then, I heard the economist Planet Money booked to discuss the Japanese recovery flirting with the idea that Japan’s economy could see a net benefit from the disaster. Question from interviewer: Is it possible to come out with a net economic positive for Japan? Economist: In terms of GDP and production flows you might be able to say that, except for the loss of wealth. You could’ve been using that same money – those same resources – for doing other things other than rebuilding. I think what may have happened was the Planet Money team got caught up in the hook for their story: countries like Haiti and other impoverished countries do not bounce back catastrophe in the way that developed superpowers like Japan can. That’s true, but they got a little carried away and started veering towards the idea that the disaster could ultimately be a benefit to the Japanese economy. You could say, possibly over the next year or two, we’ll see some strong positive benefits including the construction of new highways, new railroads, new cell phone towers and telecommunications networks, new housing for people to replace the old stock. So we could end up with more modern, more productive, more efficient amount of capital out there than we have at the moment. The problem is they are flirting with the broken window fallacy. Of course the result is “strong positive benefits” and newer infrastructure to “replace old stock”, but that doesn’t mean the Japanese economy will see a net improvement. In order to think that, we have to ignore all of the “old stock” that was lost. That infrastructure had value, and the new infrastructure will cost money to build. This is a net loss to Japan unless all of the infrastructure lost was essentially value-less before it was destroyed. All the old stuff was still there because it still had economic value, not because they just couldn’t get around to building more modern stuff. I’m sure there were some condemned buildings or whatever, but most of the stuff they lost was economically useful and so represents substantial economic loss. I will note that they led with a discussion about how GDP doesn’t capture lost assets that were previously created or acquired. The example they gave was a bridge built 10 years ago: if the bridge disappears, GDP doesn’t take a hit even though there has been economic loss. So it’s possible that the quotes above were said in light of this idea that GDP could look better once Japan starts the recovery (it will). But it didn’t sound that way to me. It seemed like they acknowledged the shortcoming of the GDP calculation and then the rest of the conversation – including the quotes above – were about the economy in general (not in terms of GDP). Ironically, most people would read this and think, “Duh. Of course there was a loss. All that stuff got wiped out.” In this case, common sense rules the day. If there is a building, and then the building is gone, that building has been lost. But economists sometimes like to get fancy and out think themselves. Hence the broken window fallacy mentioned earlier. The disaster will result in economic benefits, just not to Japan as a whole. My guess is that geographically proximate countries will benefit as they will likely need to supply Japan with materials and goods while Japan bounces back. Competing economies will be able to sell more of their own goods (and possibly at higher prices) while Japan is offline. Even within Japan, smaller parts of the economy will benefit at a cost to the overall economy. The construction industry will surely benefit, as will other industries whose services will be required to rebuild. But the bottom line is that Japan lost a lot of its still-useful infrastructure, and that represents an economic loss. Estimates are that it will cost $100 billion to hundreds of billions of dollars for Japan to rebuild, and that’s a good estimate for how much wealth Japan has lost as a result of the disaster. What do you think? Am I just seeing monsters under my bed? I like NPR’s Planet Money podcast. A lot. I listen to every episode, read the blog and follow them on Twitter. They do a great job of covering difficult material in an objective, approachable and understandable way. I’ve learned a lot from their podcast and I have recommended it to several people. This is the only episode I remember having serious qualms with, so don’t let this discourage you from subscribing. I could be totally out of line here. I’m using some quotes from the podcast to make my point, but I encourage you to go listen to it for yourself. It’s only 20 minutes long, and you can skip to about the 8:30 mark for the portion of the show that I’m discussing. I’m not quote mining, but I also can’t transcribe the entire podcast, so I’ve tried to find a middle ground without taking things out of context.